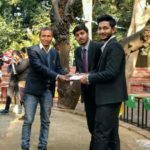 Asian School of Business / News & Events / Campus Updates / ASB students script winning moments at the Kamala Nehru College’s Annual Economics Fest, ‘ECOPHORIA 2019’! 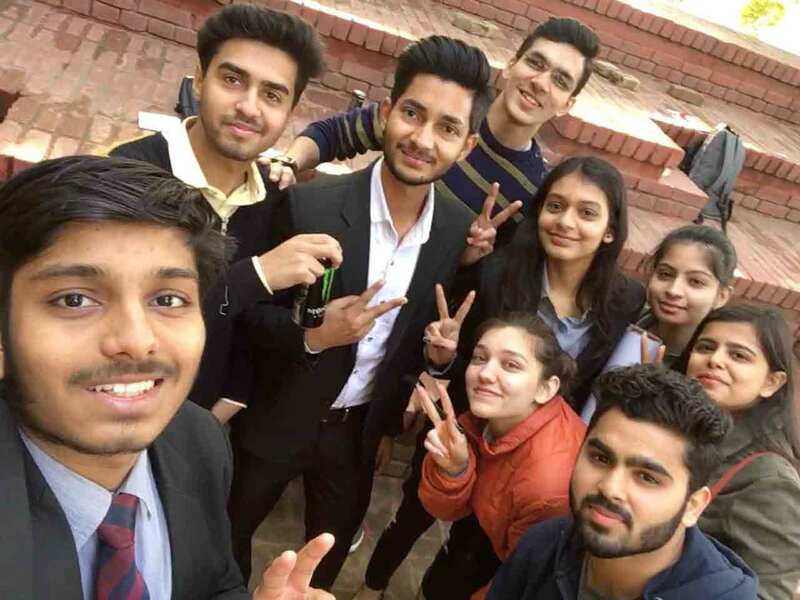 A team of BBA students from Asian School of Business actively participated in the Annual Economics Fest, ‘ECOPHORIA 2019’, organized by the Economics Department of Kamala Nehru College (KNC), South Campus, and also won prizes and accolades for themselves and their alma mater! The fest was held on 29th January, 2019 at the KNC campus and had several events such as Monopoly, Paper Presentation, Quiz Pro Quo, Treasure Hunt, The Triwizard Tournament and many others which saw enthusiastic participation by students of various colleges. Students from Asian School of Business participated mainly in three sub-events, namely MONOPOLY, TREASURE HUNT and TRIWIZARD Tournament. MONOPOLY was a market set-up game wherein various companies were formed in different sectors like E-Commerce, Banking, FMCG, Food Franchise, etc. Initially, a set of questionnaire was given to each team having 2 members each for shortlisting top 8 teams out of 20 teams, to begin with, the final game. In the 2nd Round, each team was given Rs 250 million (or, Rs 2500 lacs), through which they were supposed to do their further trading. The further rounds were based on the number thrown out by the team through a Dice, which included Chances, Jail, Risk factor, Bonuses, and Opportunity to purchase or lend or sale. Two of our teams qualified in top 8 bracket and played the whole game. Finally, one of the team from ASB ended up securing the second position with the mutual understanding and the virtual market conditions prevailing at that time. The names of the winners were Arish Khan & Tushar Maheshwari who proudly collected their 2nd Position Cash Prize @Rs 3.5K & Rs 1.5K worth vouchers + Certificates. The second game that the students from Asian School of Business participated in was TREASURE HUNT. It was an interesting game which involved 4 stages of the game. Initially, a set of 12 questions were given to shortlist the top 20 teams out 48 teams. The 2nd Round was a ‘Beg-Borrow-Steal’ round wherein a list of 12 items were given and students were supposed to perform, capture videos, click photos, talk with strangers, etc. within a time limit of 15mins, and as per the situations mentioned that had to be aligned. The 3rd Round was completely based on the running prowess of the participants (‘put on your sneakers and run around’). Finally, the 4th Round was a clue-based round leading to the finding of the ‘Treasure’. In this game, there was a single team from ASB which participated and qualified till the 3rd Round! The third game ASB students participated in was the TRIWIZARD Tournament. This was a complete Quiz game based upon the series of Harry Potter. The game was quite tough, and though the participating ASB student, Piya Bajpai got eliminated, but her spirit of enthusiasm & competition did elicit a word of appreciation from the judges. 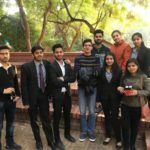 All in all, it was a most memorable experience for the team of BBA students from Asian School of Business!